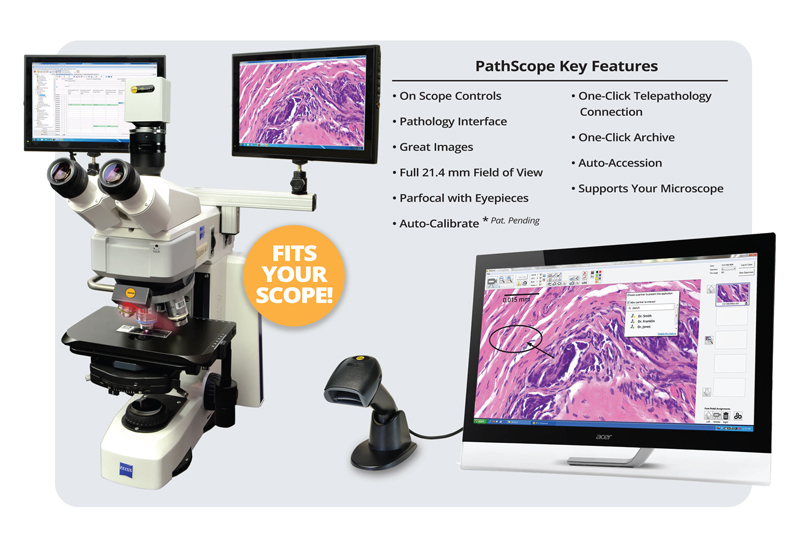 Streamline your imaging process with the PathScope™ microscope imaging system. 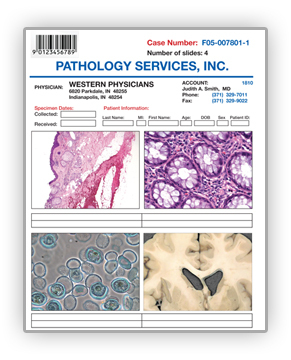 With the PathScope system, you can capture, accession, and share high quality images while maintaining your workflow. 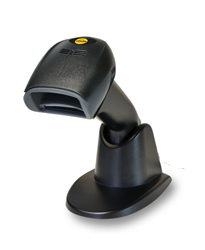 Barcode scanning enables auto-accessioning of the case data. While examining slides, simply click the HistoSnap button to capture images without looking up from your eyepieces. 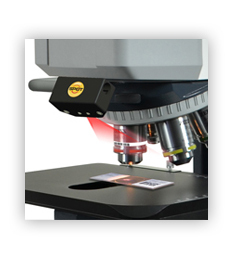 The microscope objective tracker saves the magnification used so you can add accurate measurements later on. 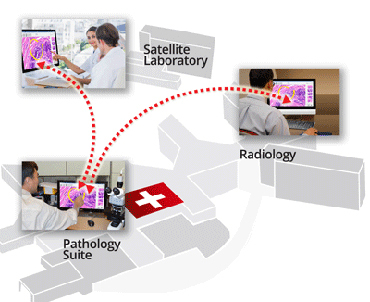 The intuitive PathSuite software interface was designed for pathology. Icons are focused on the most common pathology tasks, so you don’t have to search through menus to find controls for your use. 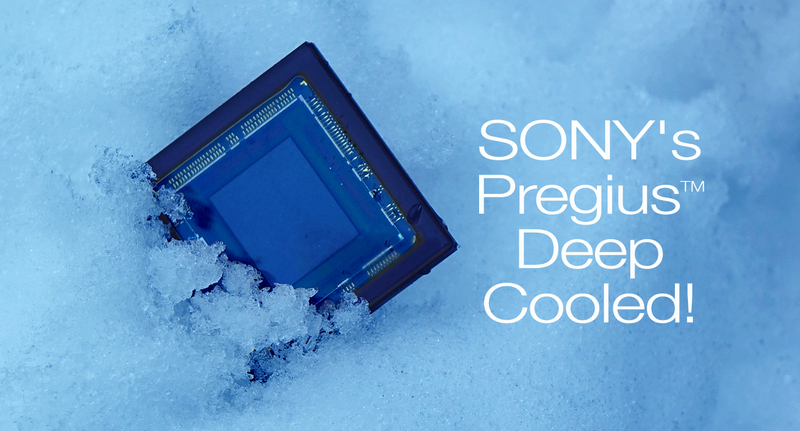 Image files are automatically saved to your file server or LIS. Sharing images securely with remote colleagues is as easy as selecting their name from the software – no complicated technical skills required. Integrated audio and annotation tools make it simple to collaborate and consult with off-site specialists, PAs, and residents. Using the PathScope for your imaging, you’ll save time and get more done. In our studies we found that using the PathScope for routine microscope imaging saved an average of two minutes per slide. 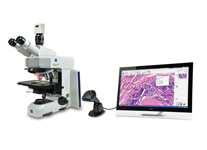 The PathScope is a complete imaging system designed specifically for pathology productivity. Scan in case information so that images are correctly associated with the case. The objective magnification is saved with the image, so that scale bars and measurements added afterwards are completely accurate. Capture images without looking up from your microscope eyepieces using our Histosnap button, which can be mounted right on your microscope. 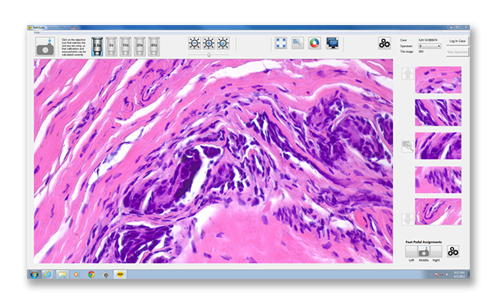 With its simple icon-driven interface focused on common pathology imaging tasks, the PathSuite software is a snap to learn and use. The filmstrip displays images from the case. Annotations, scale bars, and measurements add to the illustration. Saving to your LIS or file server is automatic. PathScope makes it easy to share images with remote colleagues for consults or education. With its annotation, file sharing, and remote computer control capabilities, geographically isolated specialists can work together as if they were in the same room. Reducing travel time for highly paid hospital specialists is a smart decision for hospital administrations.